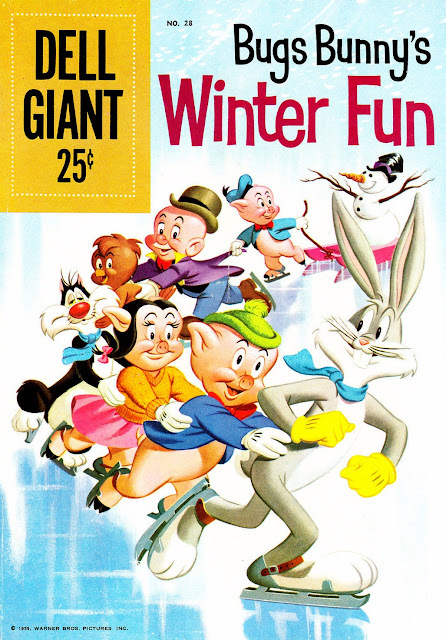 Bugs, Porky and the gang go ice skating on the cover of Dell Giant #28 - Bugs Bunny's Winter Fun (1960) by Tony Strobl & Norm McGary. 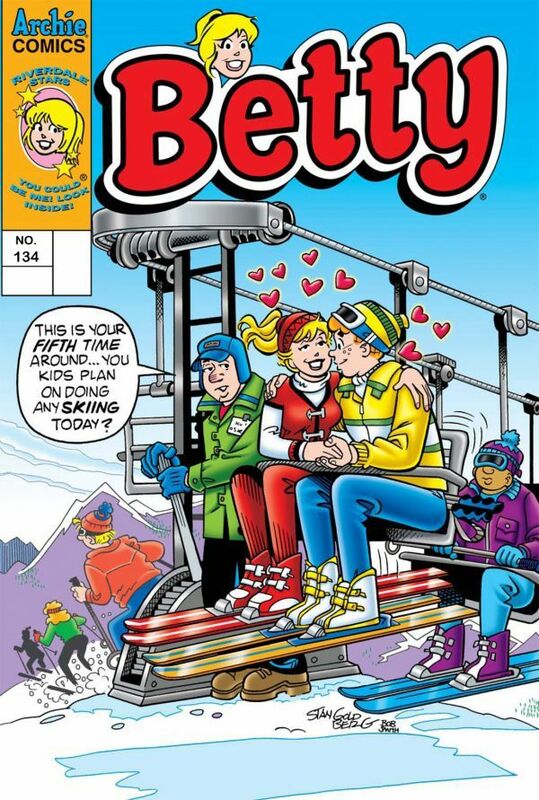 We've hope you've enjoyed our month-long celebration of comic book covers! Betty and Archie are interested in activities other than skiing on the cover of Betty #134 (2004) by Stan Goldberg & Bob Smith. 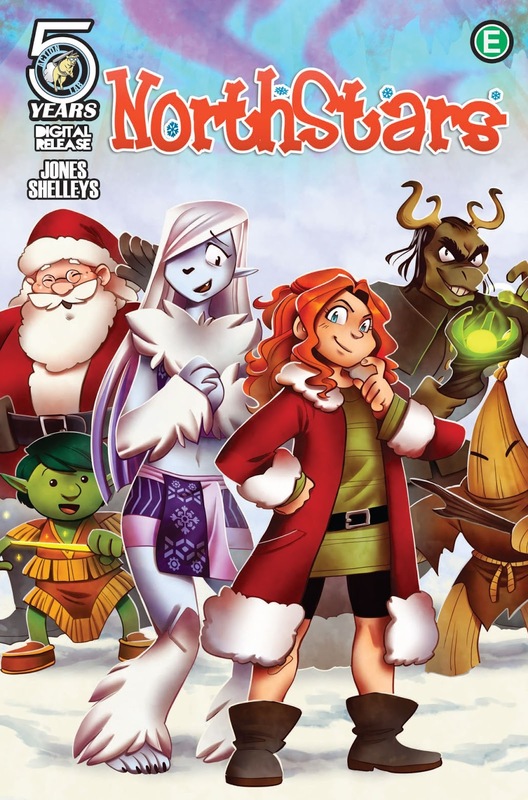 Christmas may be over, but we're filling out December with winter-themed comics covers! 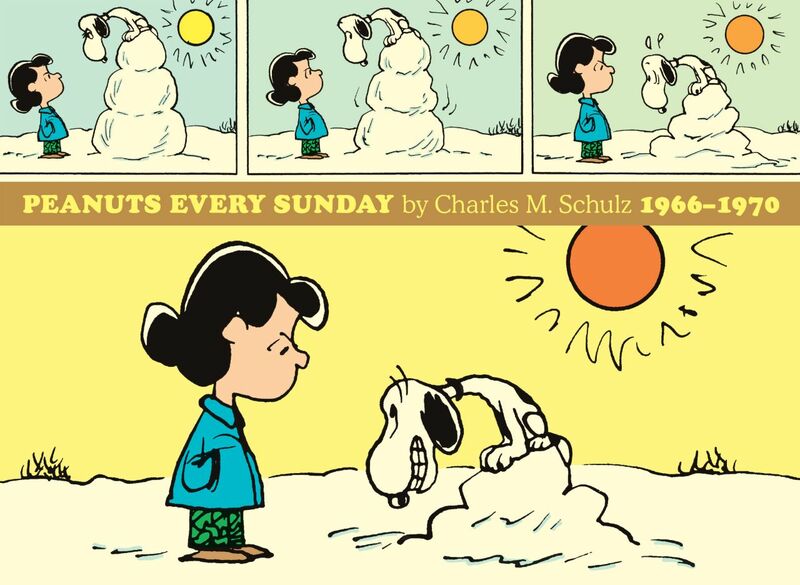 Snoopy is not so menacing from the top of a melting snowman on the cover of Peanuts Every Sunday: 1966-1970 (2016) by Charles M. Schulz. 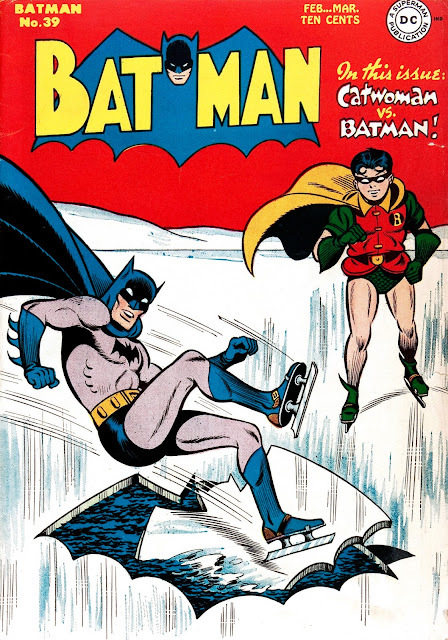 The Caped Crusader is on thin ice on the cover of Batman #39 (1947) by Jack Burnley & Charles Paris. 49 (R). Spider-Gwen Vol. 0: Most Wanted? 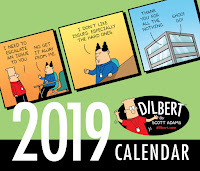 The Dilbert desk calendar stays at the top of the chart this week, and is currently #31 on the overall Amazon books chart. It is joined by eleven other calendars on the chart this week, including new editions: Garfield Wall Calendar, Dilbert Wall Calendar, and the Sarah's Scribbles Desk Calendar. Other new items this week include pre-orders for new volumes of the manga series Dragon Ball Super & One-Punch Man; and new collections of Paper Girls & Batman. This is the last Amazon chart for 2018. Have a Happy New Year, and we'll be back with more chart fun in 2019! Cats and robots need to be careful on frozen ponds on the cover of Agathe Saugrenu Vol. 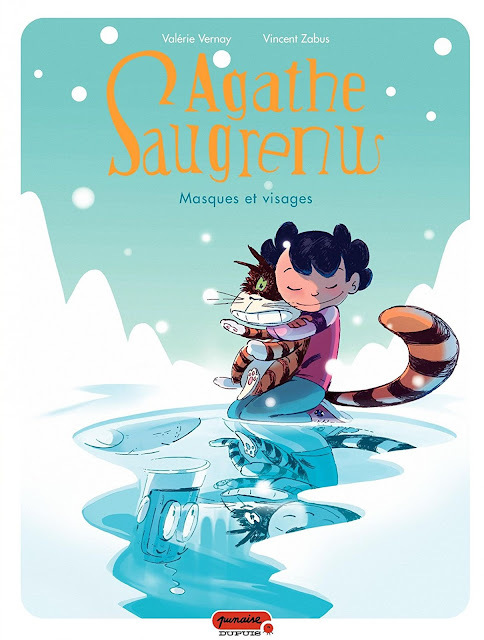 2: Masques et Visages (2017) by Vincent Zabus. 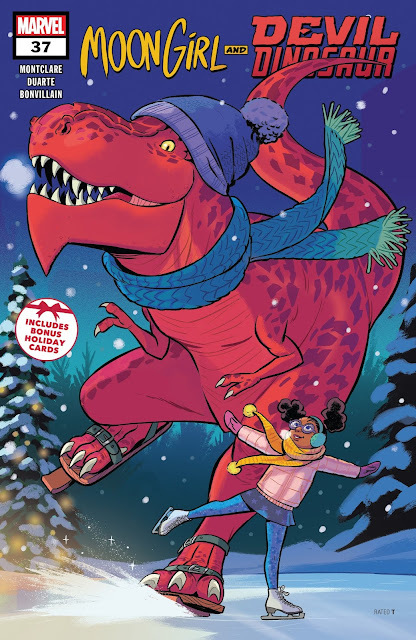 It's Dinos on Ice on the cover of Moon Girl and Devil Dinosaur #37 (2018) by Natacha Bustos. Rick O'Shay celebrates Christmas in Conniption on the cover of Comics Review #367-368 (2016) by Stan Lynde. 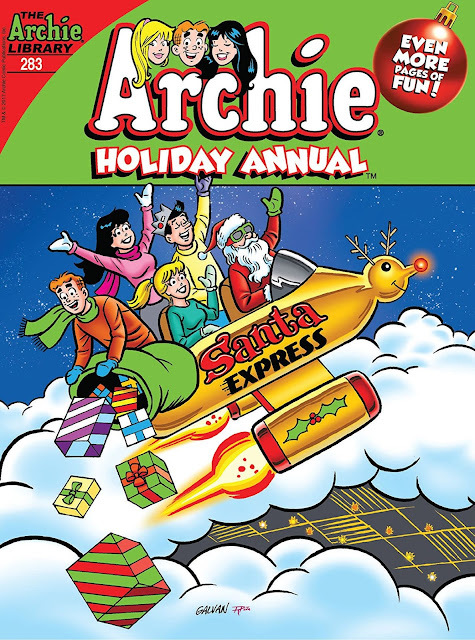 The Riverdale gang hitch a ride on the Santa Express on the cover of Archie Comics Double Digest #283 (2017) by Bill Galvan. For each day of December until Christmas I'm featuring a Holiday-related comic book cover. Come back tomorrow, and every day this month, for a new Christmas cover. Just 1 more 'get-up' until Santa! 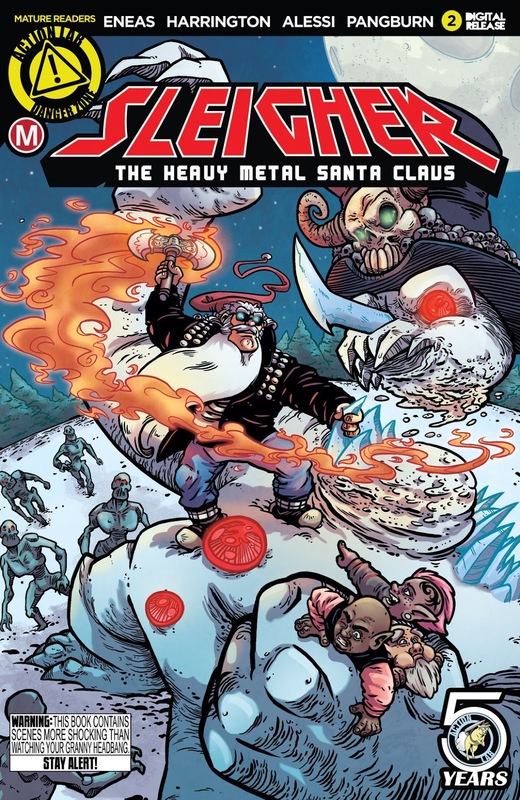 Heavy Metal Santa Claus fights against the forces of evil on the cover of Sleigher #2 (2016) by Axur Eneas. 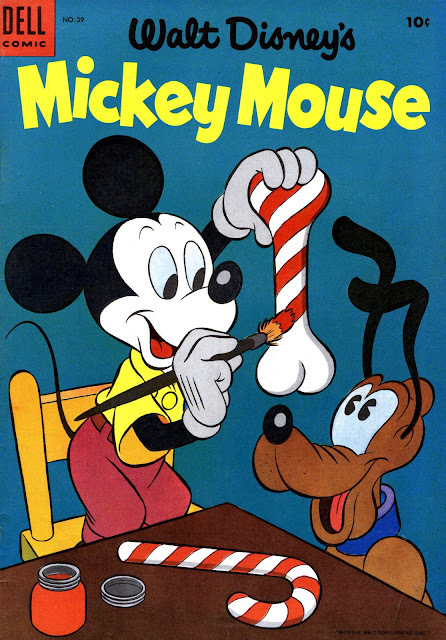 Pluto is getting a candy cane bone on the cover of Mickey Mouse #39 (1954) by Paul Murray. Just 3 more 'get-ups' until Santa! Santa's daughter Holly and Yeti Princess Frostina are ready for adventure on the cover of Northstars Vol. 1: Welcome to Snowville! (2016) by Anna Liisa Jones. Just 4 more 'get-ups' until Santa! 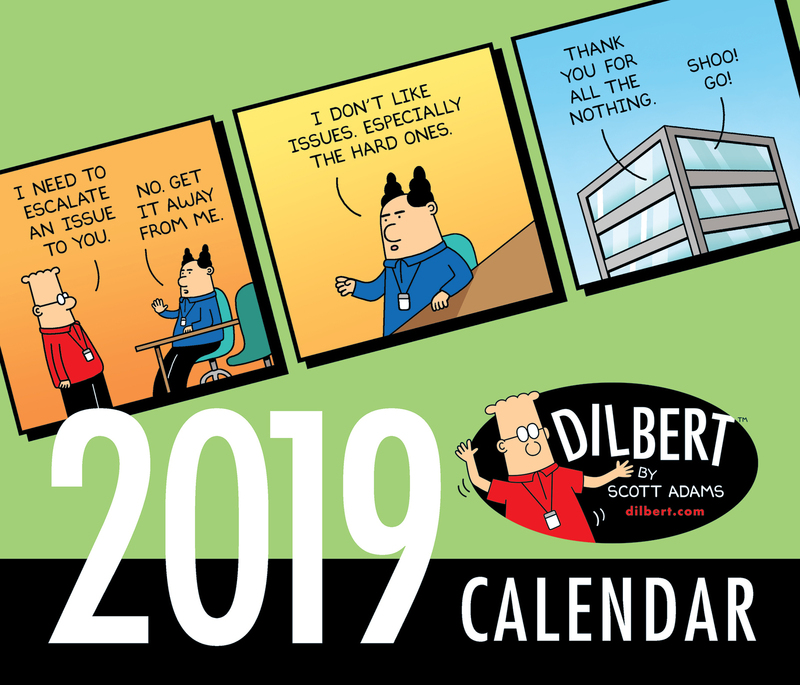 The Dilbert desk calendar stays at the top of the chart this week, and is currently #69 on the overall Amazon books chart. There are ten calendars on the chart this week, including the new Little Moments of Love and Heart and Brain wall calendars. Also new this week are the T**mp-related A Very Stable Genius and Sh*t My President Says cartoon collections, The League of Regrettable Superheroes (which has been out for a few years now, but this is its first appearance on the Top 50 chart), and the Kindle edition of the final issue of the Darth Vader comic. 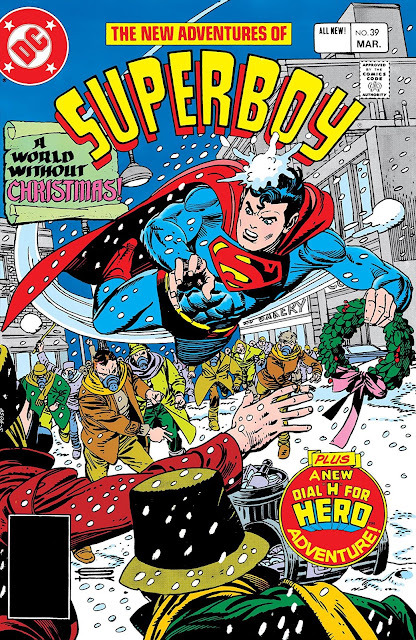 Superboy has to survive A World Without Christmas on the cover of The New Adventures of Superboy #39 (1983) by Gil Kane. 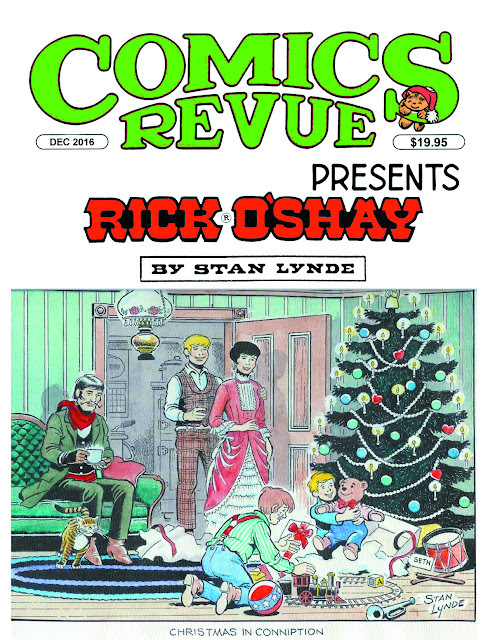 For each day of December until Christmas we're featuring a Holiday-related comic book cover. 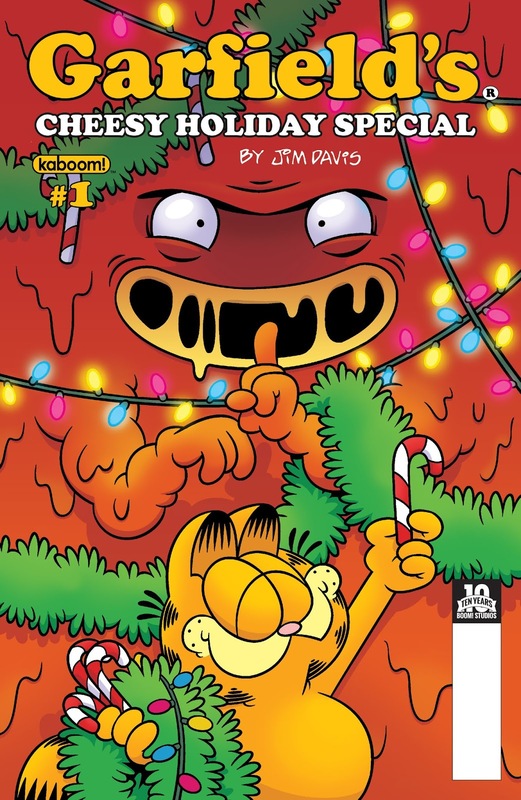 Garfield trims his lasagna monster tree on the cover of Garfield's Cheesy Holiday Special #1 (2015) by Andy Hirsch. Just 6 more 'get-ups' until Santa! 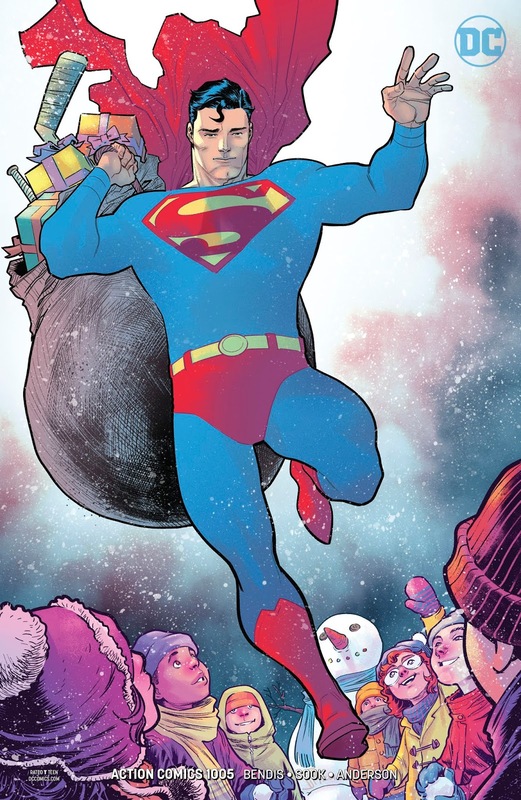 Superman delivers toys to the children of Metropolis on the variant cover to Action Comics #1005 (2018) by Francis Manapul. Just 7 more 'get-ups' until Santa! 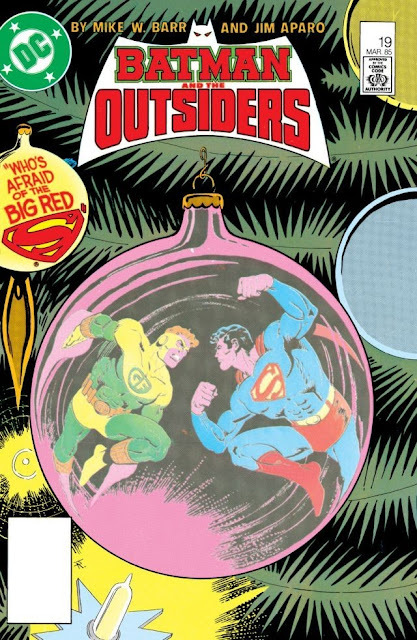 Why are Geo-Force and Superman fighting over a Christmas Tree on the cover of Batman and the Outsiders #19 (1985)? Perhaps artist Jim Aparo knows? Just 8 more 'get-ups' until Santa! 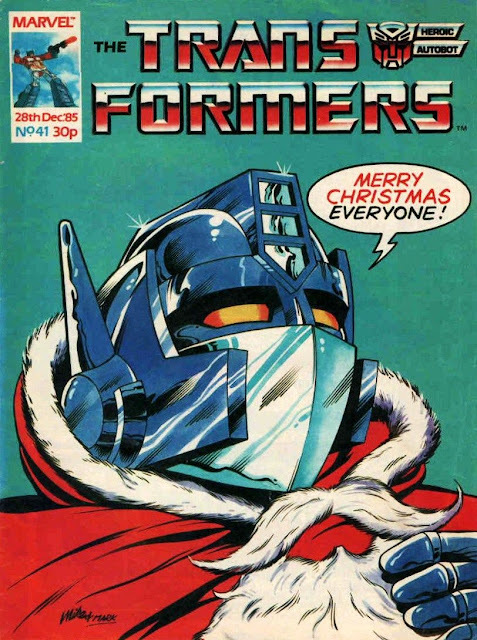 Autobot's in disguise—as Santa Claus!—on the cover of The Transformers #41 (1985) by Mike Collins & Mark Farmer. Just 9 more 'get-ups' until Santa!